For college students, making on campus payments such as college fees, cafeteria bills as well as purchasing books is often cumbersome. 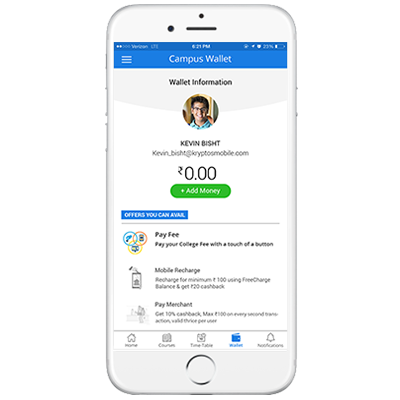 Unifyed wallet app helps institutions to go cashless by integrating the wallet with your official mobile app, enabling the users to make on and off campus transactions. Add money to your wallet using a debit, credit card or net banking. View your account balance and make seamless digital transactions. Pay on the go with a single tap by scanning the QR code for offline vendors. Pay by wallet for food, fee payment, books and more.